Can you take a guess at what the image is, which character is in the image, and/or what the theme of the image is??? Every day for the next 6 days the SMC DTwill be showing you Sneak Peeks of the new releases that will be released on 11/03/09. If you can GUESS then let's get started!!!!! Today's sneak peek Hot Spot #5 is brought to you by MEEEE!!!! For the first stop in the countdown, please go to SMC and see if you can guess the image!!! Be sure to make a note of it!! For the 2nd countdown sneak peek, Please go here to SMC and take a guess at the newly posted sneak peeks!!! Also we have a SCAVENGER HUNT going on!! Be sure to look through the cards and then read the rules at the bottom!!! I've also got previous posts covering the requirements and rules!!!! Hope to see you joining us in our release party!!!!! Hey there!!! And welcome to the Halloween Monster Hop!! 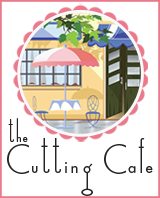 If you just happen to stop by my page and interested in hopping, please start the hop at Sarabeths blog!! There where will be all sorts of challenges and prizes to be won throughout the hop, so be sure to keep an eye out as you're hopping along!!! 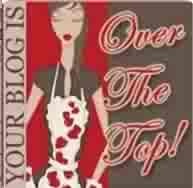 Please leave comments at each blog you hop at, and we would love for you to become a follower if you like what you see!!!! Well Sarabeth wants us to share some Halloween memories...and the one that stands out the most is when I was around 7-8 yrs old and couldn't go trick or treating until I ate the cabbage my mom had cooked for dinner. I HATE CABBAGE!!!! I tried to get the cat to eat, bribe my brothers and sister to eat it, but nothing worked. I finally took my chances by throwing it away, but my mom walked in just as I got to the trash can. So back to the table I went. Well I wanted to go trick or treating but I wasn't about to eat cabbage, so I waited once again for the coast to clear, and I took off to the pot of cabbage still on the stove, and dumped my bowl into the pot...lol Well....I loaded up that night trick or treating!!! I still remember my costume...it was this green alien goblin blow up head thing...funniest costume, but I had the most fun!!!! I'll be back tomorrow to share some pics of past Halloweens and maybe some candy also!!!! Who knows what I'll be offering and posting!! Hope to see ya hopping and joining!! 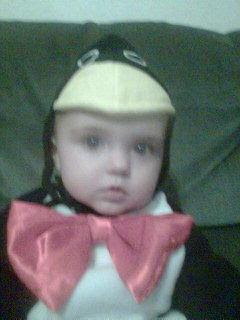 My first Great niece celebrating her first Halloween as a penguin last year! Yes...this is me!! Halloween 2005. My friend Jen in the pic below helped me with my costume and all. This my lil Freddy Kreuger...better known as my youngest son Christopher!! And here is my friend Jen, her son Adrienne, and myself once again. 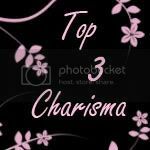 You can find the below image over on Kristals' blog ....Kristals got some great images for you to check outat DIGI-KITTY IMAGES, and she's even got a challenge going in this hop where you can get the below image for FREE and a chance to win some awesome BLOG CANDY!!!!! 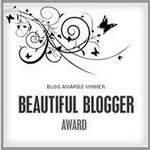 So be sure to check out her blog!!! JUST IN CASE YA GET LOST ALONG THE WAY....Here's our lists of ghoulish creators!! Can you take a guess at what the image is, which character is in the image, and/or what the theme of the image is??? If you can GUESS then let's get started!!!! !Every day for the next 6 days the SMC DTwill be showing you Sneak Peeks of the new releases for 11/03/09. Take a looky at this Digital Stamp Image from Robyns Fetish Shoppe. Have fun with this image. We would love to see your creations. Are you good at games?? Think you can figure out an image from a small sneak peek...then lets get started!!! Every day for the next 6 days the SMC DT will be showing you Sneak Peeks of the new releases for 11/03/09. So head over to Sarabeths BLOG and take a guess at her sneak peek!! -include your guess on what you think the image(s) is/are. Remember that every day another image or two will have a sneak peek posted. There is also a Scavenger Hunt! 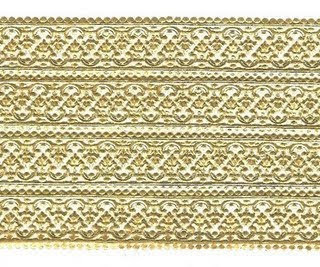 Find out the name of the Stamp used in the creations, guess who the designer is and message me your with your answers! Stop in the SMC Shop HERE for some help! Everyone who submits the correct answers will be entered into a random drawing to win free digi's from SMC! There will be a surprise digi set up for grabs! The final reveals of the new digi stamps, winners and new challenge will be postedon 11/03/09 so stay tuned! Come join in on the fun over at the NING community! Right now, there is a scavenger hunt going on and then the release sneak previews begin tomorrow. Rules:Find out the name of each stamp or set featured in the creations shown below. 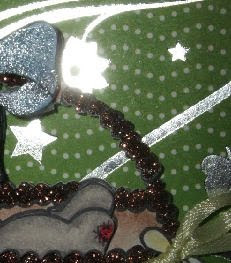 Submit your entries to Angela at angela@sewmanycards.com by 11/01/09 to be entered for a prize!!!!! More hints will be added tomorrow from the rest of the DT AND if you can take a guess on what DT member created what-you will earn additional entries! This week there will be a lot of fun and games and a whole lot new images for release! This weeks challenge over at Sew Many Cards is to make a card using Brads, Buttons, or Flowers, or you can even use all 3 on your card!! You can use any image you'd like but we'd love to see it made with a Sew Many Cards image! Don't have a Sewn Together Image...well that's not a problem...be sure to check out Freebie section for this weeks Freebie as seen in my card...but hurry before it's gone, if you'd like to use him for your challenge!! 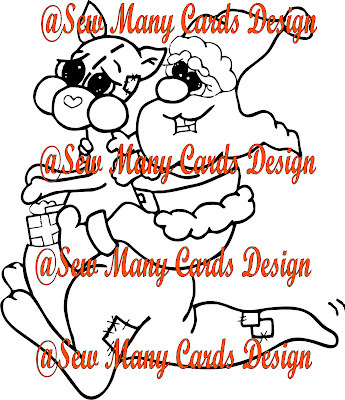 Or check out the Sew Many Cards Store for even more cute images that you could use for your image! Once you're ready please use Mr. Linky on the Challenge post or email Angela with your card or details to angela@sewmanycards.com - Mr. Linky seems to not work all the time, so just shoot her an email and she will manually enter you. We're also located in the NING Community and would love to have you join us!! This challenge ends midnight EST 11/02 and you will win 3 images of your choice from the Sew Many Cards Store! I decided to use the freebie image Angela has up for grabs this week. I thought Santa was just too cute riding in on the Kangaroo!!! Hope ya like & Thanks for looking!! Will be watching for your entries! This week at Digi-Kitty our challenge is to make something use Fall colors. ***Guest Design Team spot for next week!!! Cant wait to see what creation you come up with!!!! Have a great week and thanks for looking!! Today's Robyn's Fetish Challenge was a tricky one!! !We had to use stitching....but it couldn't be faux stitching...and it COULDN'T BE FROM A SEWING MACHINE!! Be sure to check out and sign up at Robyn's Fetish new site and forum and definitely go check out all the great images in the Robyn's Fetish Store! Sooooooooo this is what I came up with for this weeks challenge!! I altered a journal using one of Robyn's Fetish images and used embroidery thread on the stocking and her shoes. Also used it to attach my buttons to her dress! I thought it would be a cute book to keep track of holiday shopping and gift giving, Christmas Card lists and so much more! Robyn's Fetish Digi Image "the Stocking Stuffer"
Thanks for joining us yesterday for the 1st S2G Members Blog Hop! We had a lot of fun with all of you!! SEW MANY CARDS FREEBIE FRIDAY!!! Check out this cute freebie that Angela is offering this week over at Sew Many Cards! If you haven't joined up with us on the NING Community, we would love to have you sign up and join in on the fun. Please post your creations with the little cutie below! Go to our blog or NING Community to pick it up!! You've got to check out Robyn's Fetish new digi images!!! I had the pleasure of working with this cutie pie new Raquel stamp!!! Isn't she just a cutie!!! Please go check out Robyn and Donna's Shoppe!!! There's lots of new stuff to see!!! Don't forget to check out the new Site and Forum Robyns Fetish has opened! IT'S TIME TO GO SHOPPING!!!!!!!!!!!! Isn't she a hottie!!!! 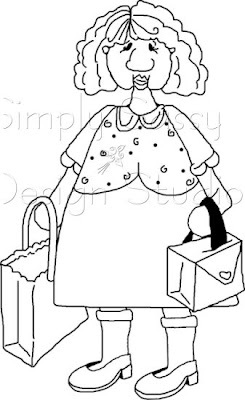 She would love to go shopping with ya or be your messenger to tell others to let go shopping!! Hurry and get your freebie before it's gone, it will only be there for a week, but you can find it in the Robyn's Fetish store after that!!! We would love to see what you do with it, and feel free to use the freebie in future challenges on our blog!!! Hope to see you there!!!! I used my freebie to make an altered List purse! See how versatile the images can be! You're not just limited to cards or layouts, you can use these great images on anything!!!! Robyns Fetish Digi Image "Shop Til You Drop"
This week over at "There's Magic In The Air" the challenge was to use the free Harvest Geese image along with 3D Pop Dots or Foam Squares! So of course, this challenge was right up my alley! I love my pop dots!! There's Magic In The Air Digi Image "Harvest Geese"
This weeks challenge at Sew Many Cards is a sketch challenge!! I've included it below so that you can get started!! You can use any image you'd like but we'd love to see it made with a Sew Many Cards image! We've still got Breast Cancer Awareness Kitty up for grabs from Freebie Friday...so hurry before it's gone, if you'd like to use her for your challenge!! Once you're ready please use Mr. Linky on the Challenge post or email Angela with your card or details to angela@sewmanycards.com - Mr. Linky seems to not work all the time, so just shoot her an email and she will manually enter you. This challenge ends midnight PST 10/26 and you will win 3 images of your choice and a surprise gift! This week I chose to new an upcoming New Release from Sew Many Cards. It's Miki getting ready to dig into his birthday cake!! Sew Many Cards Digi Image.. "Miki having Cake"
Hope you like and thanks for looking!!!! This weeks challenge over at Digi Kitty is to use the freebie 'Jack Head'. You'll find it listed on the blog under this weeks challenge post! The only twist to it, is you have to use the colors Purple, Orange, Green & Black!! Use Mr. Linky to post your card or creation on the challenge blog!! Be sure to link your challenge entries by midnight Oct. 26th!! Digi Kitty Digi image "Jack Head"
Mujka Chic Digi Images "Yummy Candy Stamps"
Dew Drop Craftz Digi Images "Mixed Words Seasonal"
Thanks for looking and hope you like!! Hope to see your creation over at Digi Kitty soon!!! It's challenge time over at Robyn's Fetish !!! So it's time for the next weekly challenge over on the Robyn's Fetish Challenge Blog. The challenge for this week is a Theme Challenge - to make a card/paper crafts project with a Halloween theme, using an RF image, 2 patterned papers and NO ribbon!!! So what are you waiting for??? Take the challenge - all the details are on the Robyn's Fetish Challenge Blog and someone will win 6 digi stamps of their choosing!!! For more inspiration for this challenge then why not visit my amazingly talented Design Team mates - they are brill and it will be worth your time visiting them!If you need any of the digi's then please visit the store HERE. The challenge will run from 12:01Am EST on Sat, Oct. 17 to Fri, Oct. 23rd at 12PM EST. I chose to use the Witches Hat image from Robyns Fetish for this challenge! I can't wait to see what you come up with for your challenge! We'll be watching for ya! It's national Breast Cancer Awareness Month and Robyn's Fetish has a commemorative stamp set to celebrate this worthy cause. We are holding a blog hop to celebrate the new stamp set and to support the fight against breast cancer. One person could win the entire Breast Cancer digital image set by participating! It starts tonight at 11:59 p.m. and running until Saturday night at 11:59 p.m.
Want to know what to do to win the set??? Just post your card using mostly pink to the Robyn's Fetish Challenge blog by tomorrow night at 11:59 p.m. This set is a great value at $10.00 but, during the hop the price will be reduced by 50%. That's right...50% off at just $5.00. And 50% of your $5.00 purchase price will be donated to charity to help fight breast cancer! This is something that is very special to the Design Team and owners of Robyn's Fetish!!! And we want to celebrate with you as well. As we're sure this is a fight you'd like to fight with us!!! So get over and grab the whole set and help out a worthy cause! Here's a card that I made using one of the images included in the special Breast Cancer Awareness Digi Stamp Set. Now , if you'd like a chance to WIN the whole set, we would like for you to create a mostly PINK card! Easy peasy!!! It doesn't even have to be a ROBYN'S FETISH image but I just want to let you know that there are FREEBIES HERE . Check the Wacky Wednesday posts, you'll find them there! Once you've checked through all the blogs, hop over to your desk and get creating a PINK card, come back to the Challenge blog and post a link where we can find it! You COULD win the whole set for FREE! Make sure and post a comment on each of the DT member's blogs. If you like what you see become a follower! If you did not please start at the beginning of the hop at Robyn’s Fetish Challenge blog. You should have come over from SARAs blog....if not, please start at the top of the list and work your way back to here!! Here's a list in case you get lost along the way!! Next you should head to WENDYs blog!!! then back to the Challenge blog to post your card! Have fun and good luck!! Can't wait to see your creations!! we will have a new challenge for you every Saturday and ending on Friday week. This challenge starts at 12:01AM EST Saturday, Oct. 17th and will continue until 12PM EST, Friday, Oct. 23rd. So your challenge this week is -A Theme Challenge! 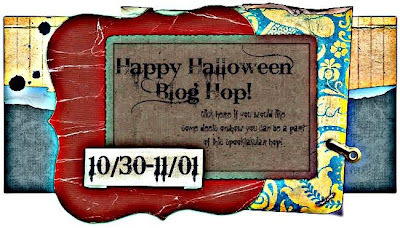 To make a card/paper crafts project using a Halloween image, and use at least 2 different patterned papers and no ribbon! Please use a Robyn's Fetish image. For this challenge I chose to use the Witches Hat Image from Robyn's Fetish. 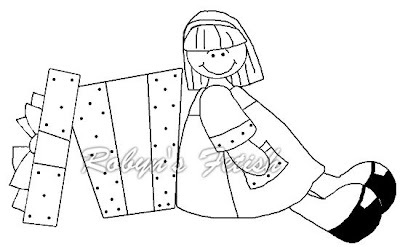 Head over to Sew Many Cards for your FREEBIE FRIDAY!! Angela has done it again!!! She made the cutest kitty flaunting her cute pink Breast Cancer Ribbon!! I used this lil kitty to make an altered clip. I think it would be a cute gift for a survivor or a pick me up for someone battling this horrible disease!! We would love to see what you do with this adorable kitty!!! This is afreebie image from Digi-Kitty. 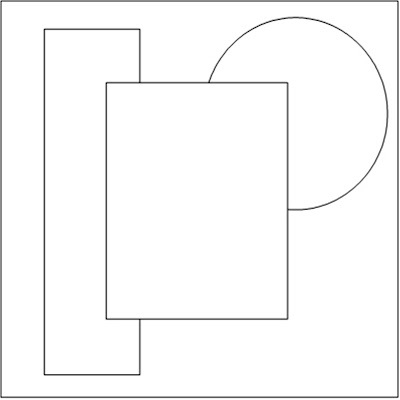 It's a new and upcoming Digi Stamp business. Hope that you'll check them out and join in on their challenge!!! They've got some really cute images in their store!! Wacky Wednesday Freebie at Robyns Fetish Challenge Blog!!! This pegasus is a such a cutie!!! 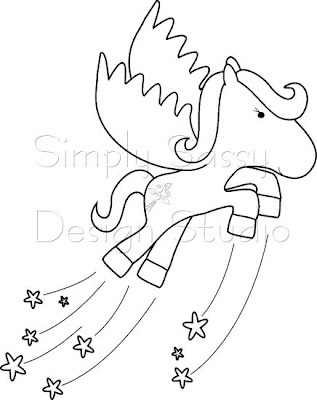 Imagine the possibilities this awesome digistamp! Hurry and get your freebie before it's gone and be sure to post it on the challenge blog! 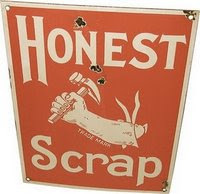 We would love to see what you do with it, and feel free to use the freebie in future challenges on our blog!!! I used my freebie pegasus along with another Robyn's Fetish Image! See how versatile the images can be with each other! You're not just limited to one image or the other, you can use them with each other as well!!! I thought this image, along with Princess Gina, would make a cute birthday card! This weeks challenge over at Sew Many Cards, is to make a card or project using ONLY the colors Pink, Green and White on the cardstock. You can use whatever colors you need on the image itself! You're welcome to use one of the Friday freebie images or purchase one of the many cute images Angela has in her store for your challenge entry!! Deadline for entries are due by midnight EST of Oct. 19 .....winner will receive 3 FREE IMAGES FROM THE SEW MANY CARDS STORE!!!! We hope to see your entry this week at Sew Many Cards! Be sure to check out Sew Many Cards every Friday for the Freebie Friday!!! Check out the rest of the Design Teams creations this week!! You'll find all of them in the right sidebar!!! So this week I chose Fawn the Fish Purse digi image. What better way to use but as a shopping bag!! It's the Season of Giving, so lets take Fawn and do some shopping!!! ROBYN's FETISH GRAND OPENING BLOG HOP GIVEAWAY!!! SEW MANY CARDS--WORLD CARD MAKING DAY CHALLENGE! !